You are here: Home / Weight Loss / Diet Plans / Ketogenic Diet / What Does Ketosis Breath Smell Like? What Does Ketosis Breath Smell Like? For some of us, Ketogenic Diet could be an efficient way of losing the extra pounds and look good in the process of doing it. You can lose weight fast by following any diet including a low-carb diet, and keto diet, but we can face are some unwanted as well. One of such side-effect is bad breath. It is because ketogenic diet reduces the amount of insulin hormone produced naturally in our body in response to food. As the level of insulin drops in our blood, our body starts making chemicals that are called ketone bodies. These chemicals we can blame for bad breath. Those who are, as nutritionists and bodybuilders say, ‘in ketosis’, may have slightly unpleasant breath. It is different from bad breath caused by poor oral hygiene and has a particular smell because of a chemical called acetone. It is a common side-effect that people following this diet often losing sleep over. We will look into causes and some simple cures that can help you get rid of this smell. The breath smell is a symptom of high levels of ketones in our blood and is given name: Ketosis Breath. It is often considered as a sign that your ketosis diet is working. On the other hand, it is not great for your social life as it may be unpleasant or distracting for someone conversing with you. Simply put, it is good and bad news all at the same time. The Ketosis breath is also a symptom of other low-carb diets such as the Atkins diet. People undergoing these transformations often have to bear this problem and resort to brushing their teeth or using mouthwash multiple times throughout the day. Many people wonder if they have bad breath because of their low-carb diet or if it is because they are ignoring their oral care. Some people describe it as a fruity smell which can range from noticeable to unpleasant and some even say that it smells like alcohol. Many signs can confirm that your body is indeed in ketosis, but it is not easy. The only positive thing about keto breath is that it is one of the signs that can indicate that your diet is working. You may not be experiencing all of the above at the same time. If you are experiencing some of them, perhaps you are on your way to burning fat and losing weight. Aslo you can easily measure level of ketones your body produced by using a ketone meter. It is the most commonly asked question from people who have taken on the Ketogenic diet. Acetone is the main culprit behind bad breath. When the body burns fat, it produces ketones at a higher rate. As a consequence, the ketone levels in the blood rises. One of the ketones called acetone. During the ketogenic diet, acetone production at it's highest. The two ways it gets rid of acetone is through urine and breath. Since there is too much of it, your breath starts to smell like acetone which is sweet and fruity. Even though access acetone in our body exiting through our urine, but if not enough, the rest exits through your breath. If someone tells you that you have a strong fruity smell, you are having high levels of acetone in your blood. Ketosis Breath is not a disease or a medical condition that needs to be cured. 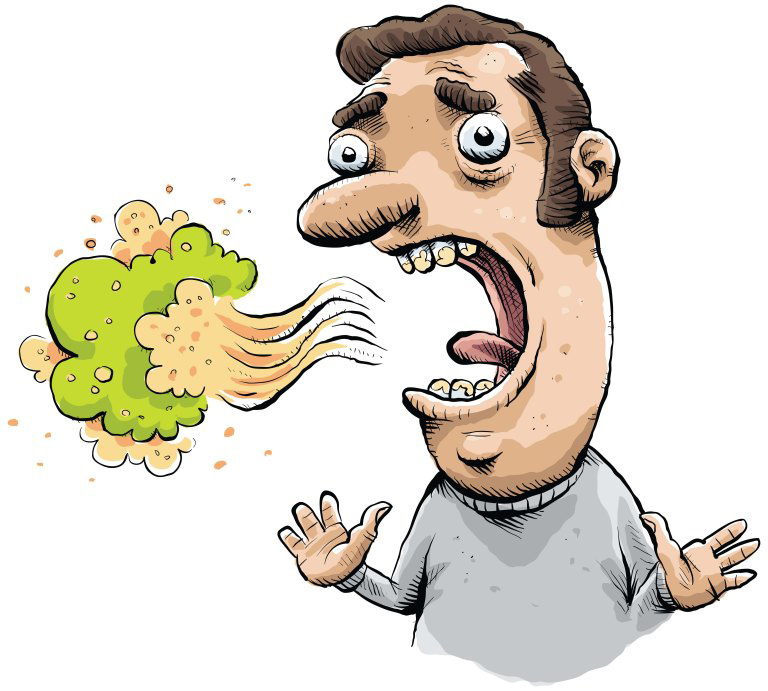 Low-carb diet and bad breath go hand in hand so if you are committing to it, and you have to accept the side-effects. Ketosis breath smell is not always unpleasant but can be noticeable enough to make someone around you uncomfortable. If you already take good care of your oral hygiene, you have nothing to worry. The fair thing to do is to drink a lot of water. Drinking plenty of water is the only way halitosis can be remedied which is worse than the fruity acetone smell you might currently experience. Ketosis breath can last until your diet continues. As you move towards a more balanced diet and stop consuming too much protein your breath should get back to normal. How long you follow the diet depends on you and how much weight you want to lose. Once you have lost your targeted weight, you can start coming off the diet. However, do not add a lot of carbs to your diet at once as the excess sugar and calories may reverse the effect. You should not have the keto breath after few weeks of starting a balanced diet and nutrition. If you still have bad breath even after completing the diet program, you might have oral hygiene problems. There could be many possible causes for that, and you will have to see a dentist find out. You not always can tell if you have bad breath. We are not able to smell our breath. Even the blowing in your hand and then whiffing may not be enough as you would end up smelling your palms. When you are consuming a lot of high-fat proteins with a few carbohydrates in your diet, the ketone levels in your blood rise. One of those ketones is acetone which is produced when acetoacetic acid decomposes. It is what causes your breath to smell different like (fluff) such as a fruit or nail-polish remover. Anyone can have bad breath, but the solution is also simple. The easiest way to get rid of it is to drink more water. While some people have bad breath because of dry mouth, in the case of this particular diet, water works differently. Your body throws out acetone via urine and your breath. If you consume more water, you will urinate more, and as a result, acetone will be expelled through that channel. There would not be enough acetone left behind to make your breath smell bad. Mints and gums is an instant way of getting rid of the problematic breath. While you are following this diet, keep some gums on you all the time. Mint spray can also be an alternative to the gums, and you can use that few times a day to get fresh breath. You might want to brush your mouth more than twice, especially after eating a meal. If you do not want to brush, simply rinse with mouthwash. That will not only keep the acetone breath at bay but also improve your dental health. Keto breath might be unpleasant, but it is not harmful in any way. In most cases, your breath will become noticeable enough and in some not so much. And that shall continue till the time you are off the diet. This fruity smell is because of acetone producing from the breakdown of fats. It is a sign that the diet is burning fat and lowering your weight. Taking extra care of your oral hygiene, drink plenty of water, and lower your protein intake. All of that can help to normalize your smell, so you can enjoy your life with the new energy ketogenic diet provides.